Dicalcium phosphate (DCP), also known as calcium hydrogen phosphate, is a mineral and member of the calcium phosphate family. Calcium phosphates are salts derived from phosphoric acid. They look like a white powder and have no smell (x). You can use DCP as a dietary supplement, an antacid and even a treatment for hypocalcemia, a calcium deficiency in the blood (x). DCP has two chemical formulas: dicalcium phosphate-anhydrous (free from water) and dicalcium phosphate-dihydrate (which contains two water molecules) (x). Despite their slight chemical differences, they have similar functions. You can use both as over-the-counter calcium and phosphorus supplements. And both are a source of calcium and phosphate in toothpaste and food additives (x). Aside from its use as a dietary supplement in food, the anhydrous (dry) DCP works as an anticaking agent for food. It bonds with water molecules, drawing water out of food to keep it dry (x). Pharmaceutical companies often use DCP to make tablets, especially since it’s insoluble and ideal for use in time-release pills (x). This allows for very precise dosing (x). Surgeons sometimes use DCP during synthetic bone grafts because it’s so similar to natural bone. Damaged bone doesn’t always regenerate on its own and may require grafts for repair. More research interest in DCP has emerged because DCP may be a better alternative to bone grafts, which carry risks such as tissue rejection and transmittable disease (x). So how else can DCP benefit your health? Your body needs calcium every day. Adding DCP to your diet can help you meet some of the National Institute of Health’s (NIH) dietary recommendations. NIH guidelines recommend 1,000 milligrams of calcium daily for the average adult aged 19-50 years (x). Although the recommended daily dose of calcium is 1,000 milligrams, the body is only able to absorb about 200–400 milligrams of it at once. Your body excretes the rest in the stool. Serum calcium levels for an average adult should be approximately 8.8–10.4 milligrams per deciliter (x). Two hormones control calcium levels in the blood: parathyroid hormone and calcitonin. Parathyroid hormone tells the bones when they need to release calcium into the blood. It also makes the kidneys excrete less calcium and activate vitamin D, which helps the body absorb more calcium. Calcitonin prevents the breakdown of bones, lowering blood calcium levels so they don’t get too high (x). Most of the body’s calcium is stored in your bones, but it’s also found in your blood and cells. You must consume calcium regularly, or your body will begin to move too much of it from your bones into your blood stream. Over time, this depletion can lead to bone disease like osteoporosis (x). Phosphate is a natural mineral and the product of oxygen and phosphorus combined. It helps your body form bones and teeth, cell membranes and DNA. The FDA recommends taking 1,250 milligrams of phosphorus every day (x). Many are able to consume that amount in the average American diet. Similar to calcium, vitamin D helps the body absorb phosphate. Normal blood phosphorus levels in adults range between 2.5 and 4.5 milligrams per deciliter, and these levels depend on blood calcium levels (x). If you don’t have enough phosphorus in your body, you may feel weak, have issues with bone growth or lose weight. Your bones store most of your body’s phosphorus, which is responsible for healthy nerve and muscle functions (x)(x). Calcium and phosphorus have an inverse relationship. When calcium levels rise in your blood, phosphorous levels fall, and vice versa. The connection between these two minerals is very important. They’re electrolytes, which means they carry an electric charge in the blood, preventing dehydration. They also help maintain the blood’s pH level, which normally rests at 7.40 (x) (x). 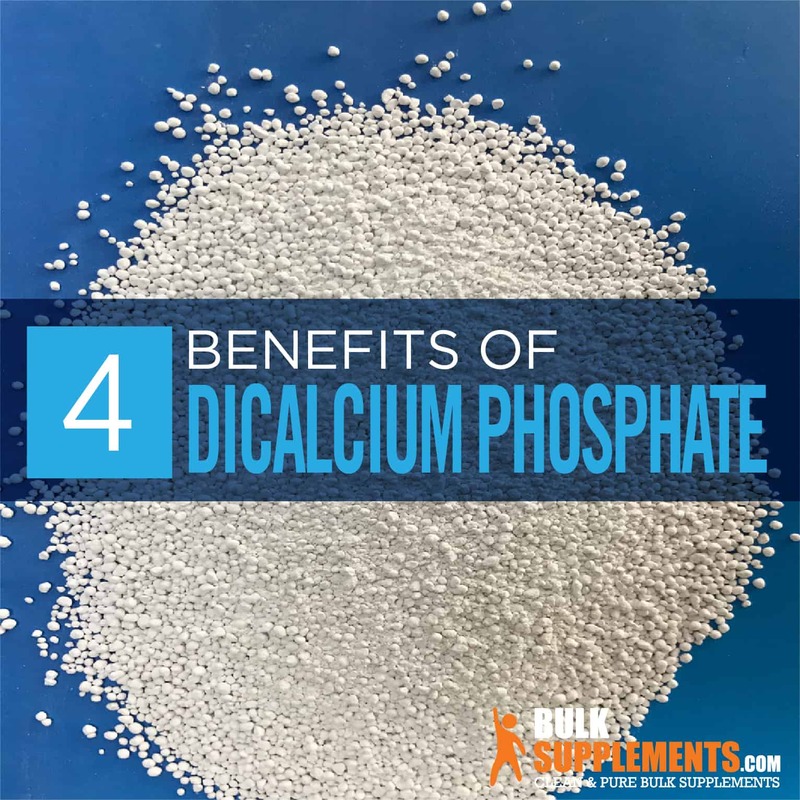 An imbalance of calcium-phosphate levels in the body may indicate severe health issues. Low phosphate levels may be symptomatic of starvation, alcoholism or diuretic overuse. High phosphate levels may indicate hypoparathyroidism (parathyroid deficiency) or respiratory acidosis (excess carbon dioxide in the body, caused by unhealthy lung function) (x). Low calcium levels may indicate a vitamin D deficiency, an issue with the kidneys, thyroid or pancreas, or low blood magnesium levels. High calcium levels may indicate too much dietary calcium, too much supplemental vitamin D or bone disease (x). You can find DCP in many breakfast cereals, flours and in some pastas. Many foods naturally contain healthy amounts of calcium and phosphorus; dairy, leafy vegetables, almonds, sardines and figs are all rich in calcium. Meats, dairy, nuts, beans and whole grains are all rich in phosphorus. Don’t take this supplement if you’re pregnant or nursing, and take only the recommended amount to prevent the following adverse side effects: red, itchy, irritated skin from continual skin contact; loss of appetite, nausea or vomiting; other gastrointestinal problems and frequent urination. 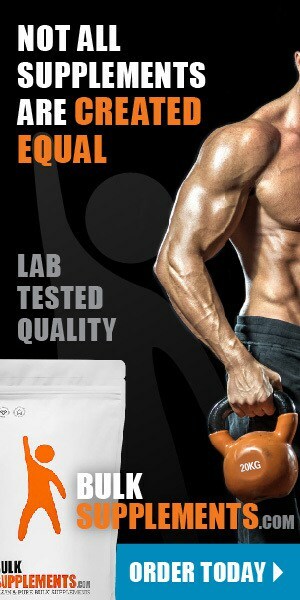 Dicalcium phosphate supplements are available as pills, capsules and in complexes for bone support. You can also take dicalcium phosphate powder. As a dietary supplement, take 2,000 mg (rounded 1/2 tsp) once or twice daily, or as directed by your physician. Dicalcium phosphate powder has a chalky taste. It doesn’t dissolve completely in water, so you can blend it into juices or smoothies or put in capsules. Dicalcium phosphate supplementation creates high levels of circulating phosphorus. For that reason, many people with mineral deficiencies take it to boost their calcium and phosphorus levels. It benefits your oral health and bones, and you can easily blend it into a healthy smoothie, ice cream or baked goods.